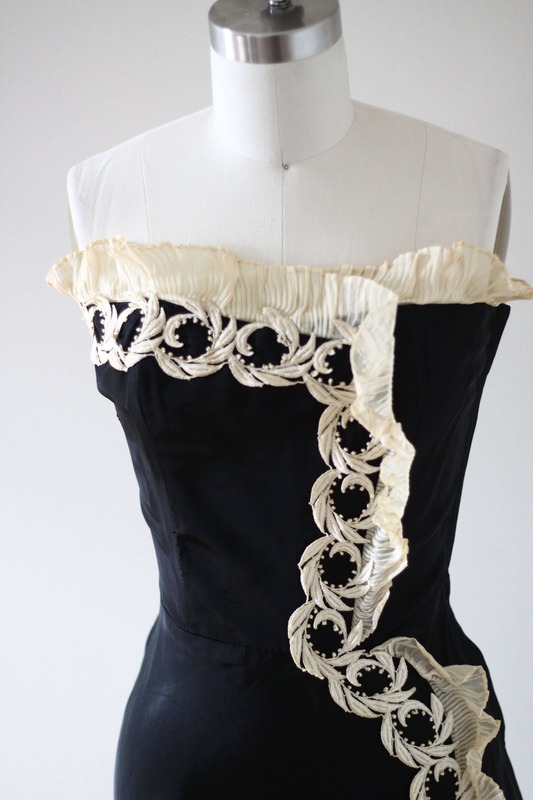 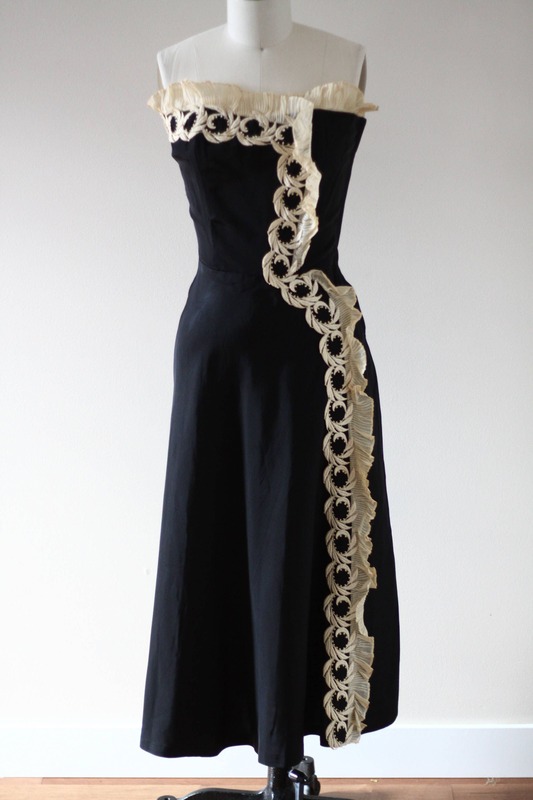 Amazing 1950s black strapless dress with beautiful off white lace trim running along the top of the bodice and down the one side of the dress. 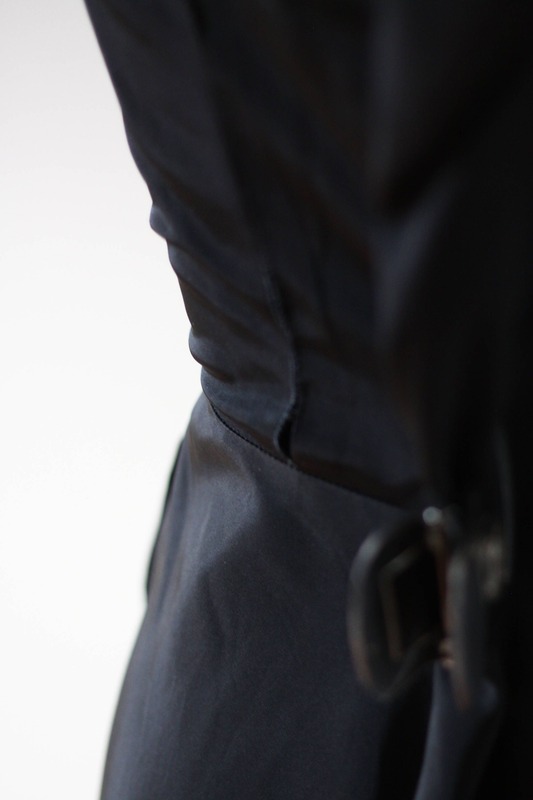 Side zipper for closure. 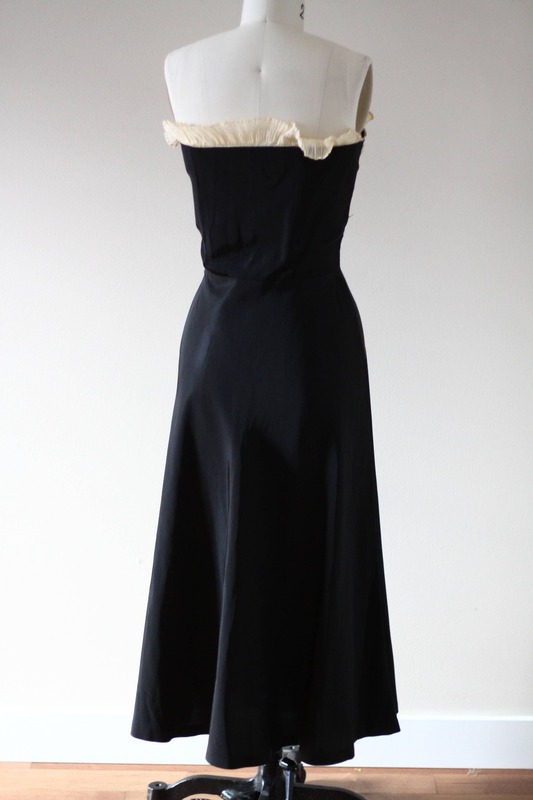 This dress is not lined and would need some sort of undergarments underneath. 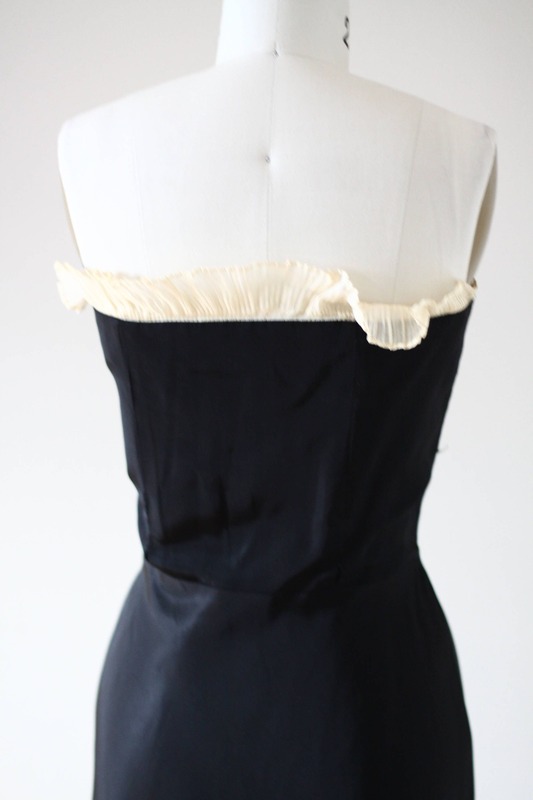 The black main fabric is a a taffeta blend and would look great with a crinoline underneath for some extra volume. 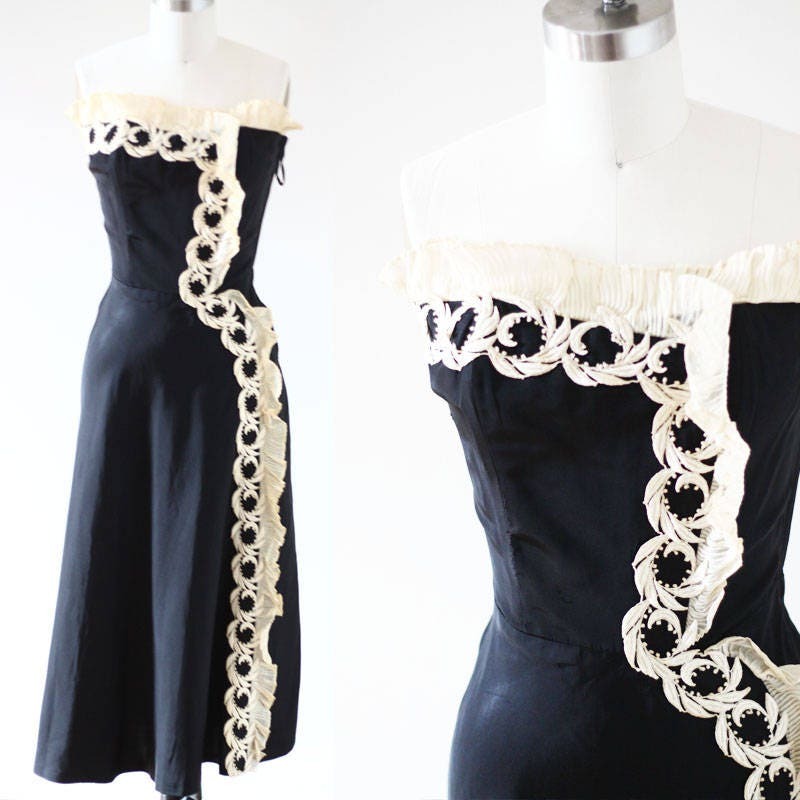 "The Du-Rite dress company was one of the more prolific Canadian ready-to-wear fashion manufacturers of the 1950s and 1960s.